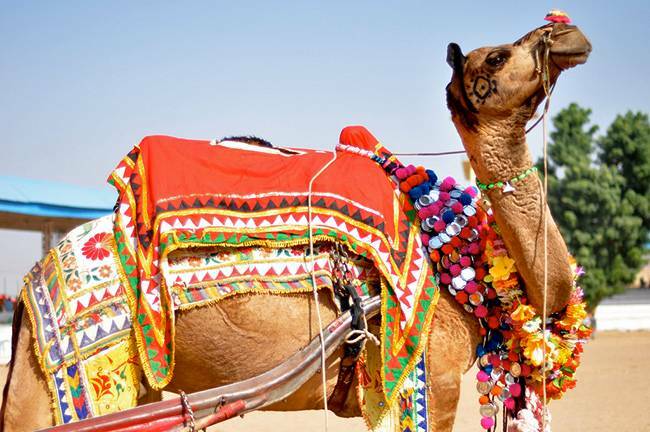 Pushkar, one of the oldest cities in India hosts one of a kind Camel & livestock trading fare where more than 50,000 camels are decorated, raced, displayed & traded ever year. Pushkar Camel Fair originally started to attract local cattle traders to do business has now also turned into one of India’s most famous tourist attraction. This festival of vivid colors now attracts tourists in large numbers from across the globe. It is the second largest cultural gathering in India next only to the great Kumbha Mela. 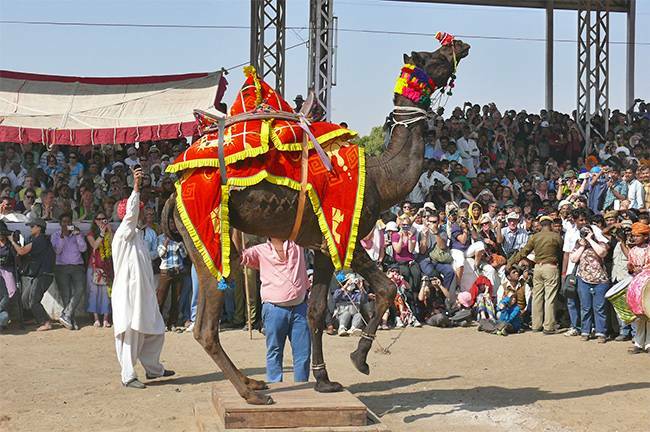 Besides camel trading various folk performances, puppet shows, handicraft shops, mustache competition, acrobatics and many such activities have become a highlight of the fair. The Pushkar Fair mainly has two components — a) the camel trading b) religious rituals. The camel trading happens in the first 5 days of the festival which attracts most of the visitors. Towards the end of the Pushkar Mela various religious rituals such as bathing in the Holy Pushkar Lake takes place. Pushkar is a small religious town in Rajasthan near Ajmer, famous for Ajmer Sharif. Pushkar was never too popular among Indians as a tourist location but number of visitors has been increasing rapidly in recent years owning to the Puskar Festival’s rising Popularity among the masses. Interestingly only Brahma temple in the world is in Pushkar. 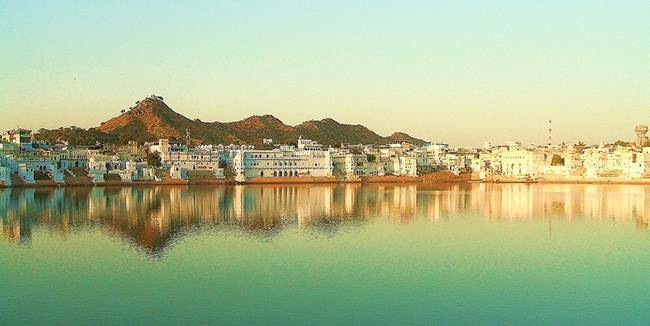 Pushkar Lake in Pushkar is the center of many religious ceremonies like pilgrims taking the holy dip along the 50 odd ghats along the lake. 2014: Pushkar Fair from 30th October to 6th November. 2015: Pushkar Fair from 18th November 25th November. 2016: Pushkar Fair dates have not been announced yet. State of Rajasthan being in north western part of the country and much of it falling in the Thar Desert, it gets pretty hot during the summers; nights are much cooler though. November to February is the ideal time to visit most of Rajasthan including Pushkar. A huge carnival mostly concentrated on the road along the Pushkar Lake takes place. Camels are dressed nicely and decorated, entered into races, paraded in beauty contents and traded. Carnival attracts wonderful mix of musicians, folk dancers, magicians, snake charmers and other artists who entertain visitors at this marvelous celebration. Sand dunes get over crowded with Camels and population of Pushkar surges to over 300,000 people from mere 10,000 due to influx of camel traders, pilgrims, artists and tourists. Camel races are definitely the highlight of the camel fair. Before suggesting where to stay, we would like to emphasize on where not to stay. Avoid the cheapest hotels, they may not be safe. There have been cases of guests being drugged and robbed in the past. If at all money is a constraint read reviews before booking or staying at the hotel. Having said that, Pushkar is quite safe otherwise. Due to large number of visitors during the festival, hotel prices shoot up drastically so it makes sense to book well in advance. Hotel rates vary from Rs 400 ($7-10) to Rs 5000 ($85-90), although some very high end options are also available. Accommodation options include basic guest houses, desert tent stays, high end heritage hotels and ordinary run of the mill hotels. 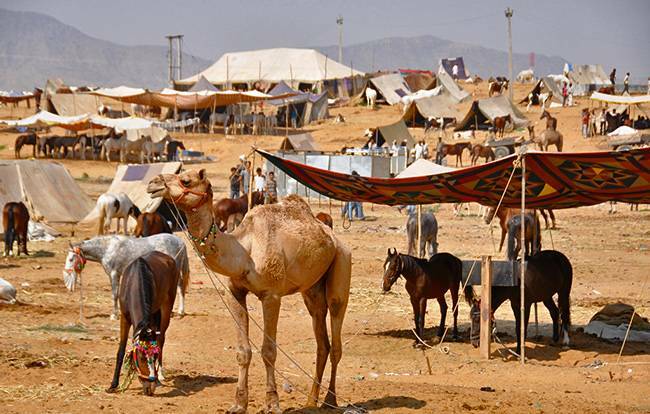 Scores of tented tourist camps are set up all around the Pushkar town for the camel fair, but need to be booked in advance. You can even opt for packages that include stay, food and some activities. Some people prefer to stay at Ajmer travel to Pushkar by bus or taxi. Surprisingly for a small town, Pushkar has lot to offer for the foodie in you. Buoyed by the large number of foreign tourist to the city, food served at some of the restaurants is as good as some of the metros and definitely cheaper as well. You will be surprised to find Israeli food at many of the Restaurants; in fact some of the restaurants have menus written in both English and Hebrew. The Laughing Buddha Café for vegetarian food. Te.. Lawala for good Indian and international cuisine. Om Shiv Buffet for healthy vegetarian buffet. Hot Air Balloon ride: Get on a Hot Air Balloon to view the camel fair. 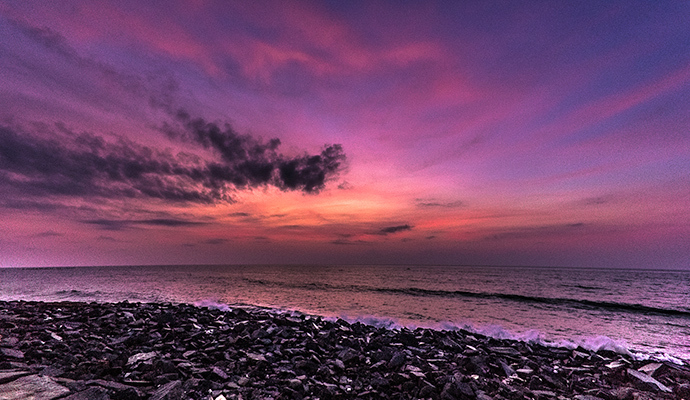 It will become one of the unforgettable moments of your trip. SkyWaltz is one of the vendors providing exciting balloon flights over Pushkar. Camel Safari: Take the Camel Safari and enjoy the desert landscape and the camel fair spectacle from the best seat in town. Witness or take a dip in Holy Pushkar Lake: Pilgrims do it as part of religious rituals and it is believed to wash away sins committed just like a holy dip in River Ganges. Brahma Temple: Visit the ancient and famous only Brahma Temple in the world. Shopping: you can buy a wide variety of things such as clothes, jewelry, Beads, bangles, small idols, lovely glassware, antique items etc. Pushkar offers one of the very unique shopping experiences in India. Remember to always bargain with the shopkeepers. Experience the culture: Take walk in makeshifts bazaars & colorful streets. Witness cultural events, interesting exhibitions and folk performances. Alcohol is prohibited in Pushkar as it is a holy place. Some places do sell booze at hiked prices. It’s advisable to avoid buying from these places. Best option is to carry your own liquor from Ajmer. Consuming non-vegetarian food is also banned here for the same reason. Finding various drugs is quite easy in Pushkar but that does not mean it’s legal. If you are a girl travelling alone or just a group of girls then keep your distance with men trying to be too friendly. Be very careful of the con men who may ask you to show the town around or ask for donation in name of blessing or prayers to ancestors.